Emblem/Shield of the 314th Fighter Squadron – The “HAWK” Squadron. Once again, your FASF – Daedalian members made the journey out to Holloman Air Force Base (HAFB) near Alamogordo, NM, to both attend the graduation ceremony, and to take part in the award festivities, by bestowing the Daedalian Leadership Award upon the student whom most represented the highest leadership ideals and qualities in the graduating class. 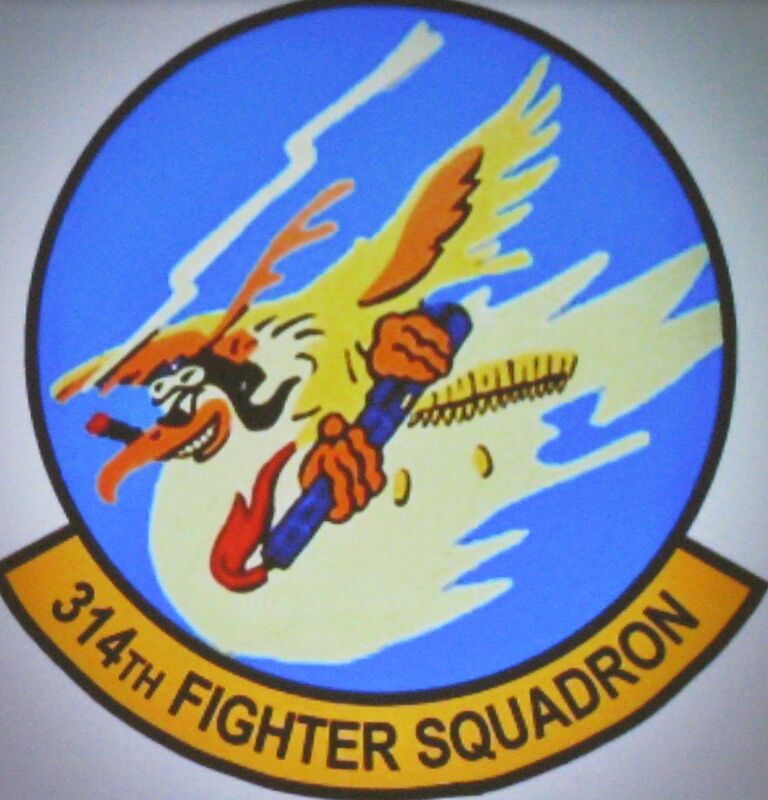 Here, at the left, is the actual shield of the 314th Squadron. The evening’s featured speaker was Brigadier General Carl Schaefer, Commander of the 412th Test Wing, Edwards Air Force Base, CA. His talk was one given through the perspective of his own combat experiences as a fighter pilot. The commanding officer of the 314th Fighter Squadron, Lt. 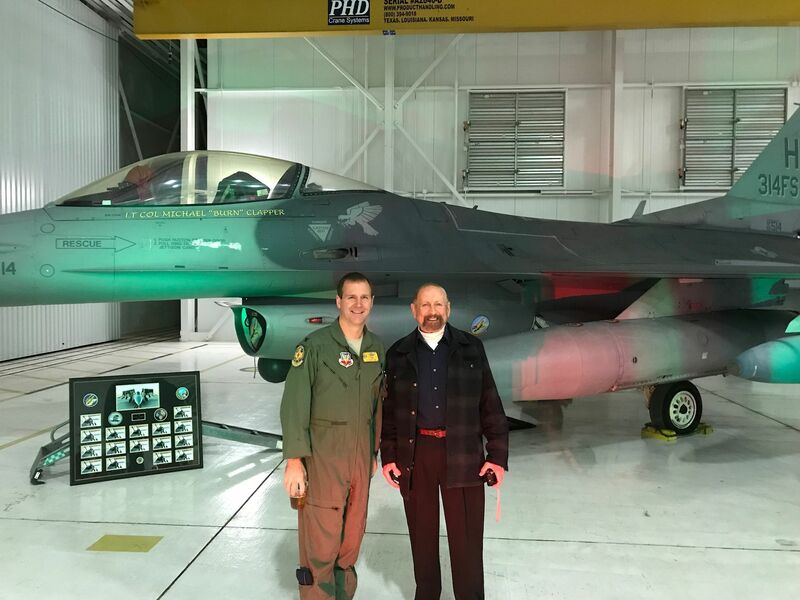 Colonel Michael D. Clapper, had his F-16 Viper fighter parked inside the graduation hangar for the visitors and guests to appreciate. In order to see any of the below photos in full high resolution, simply click anywhere on them. 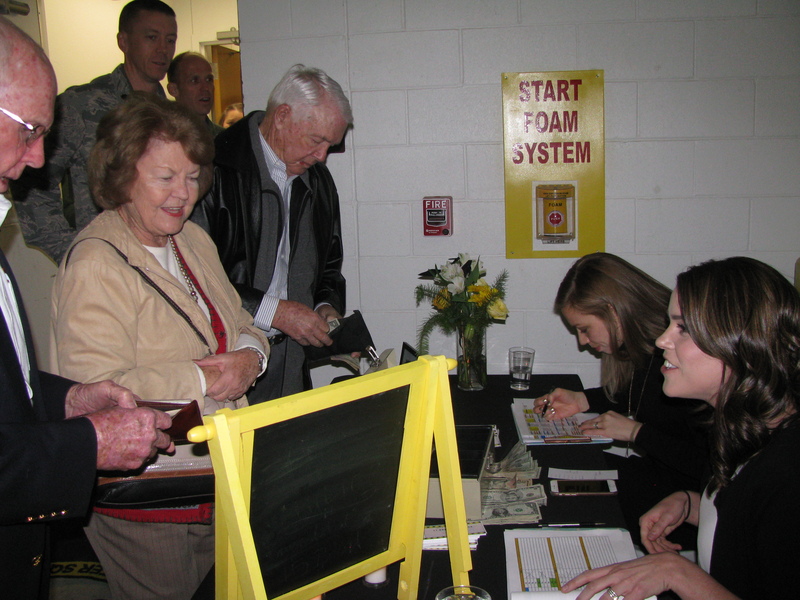 Here are (L to R): Virg Hemphill, Mayre Sue Overstreet and her husband, Charlie, checking into the gala event with some of the volunteers, who are all students’ spouses. They are Mrs. Skye Rutledge and Mrs. Lisa Belanus . This event was actually held in one of the large hangars at the Air Force Base. Most of these graduation ceremonies are formal and held at the Base Club, so this was a first for some of the Daedalians. L to R above: Colonel Jeff “Tank” Patton, former highly decorated fighter pilot, who now commands the 49th Operations Group at HAFB. and Ric Lambart, your webmaster. The Colonel is also a long time Daedalian. Photo courtesy of Colonel Patton. 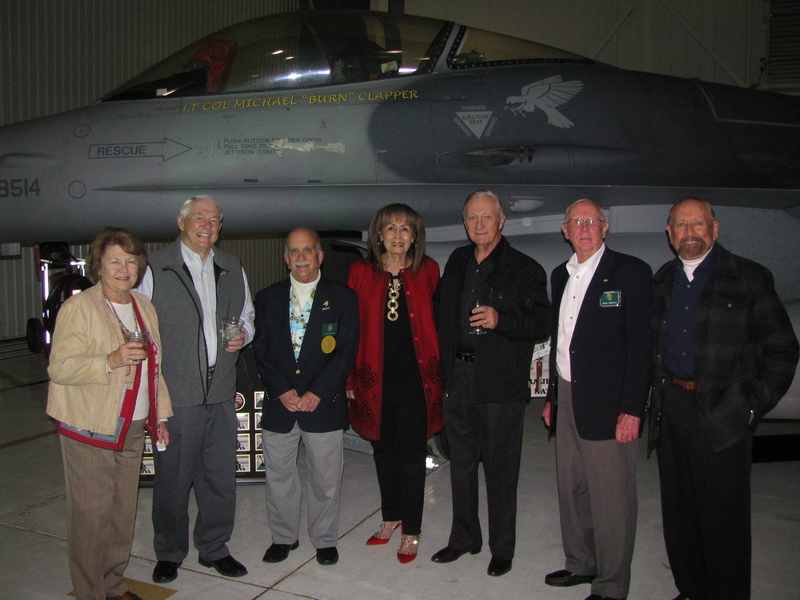 Notice that the F-16 Viper behind the men is that flown by the 314th’s Commander. Above, taken by Capt. 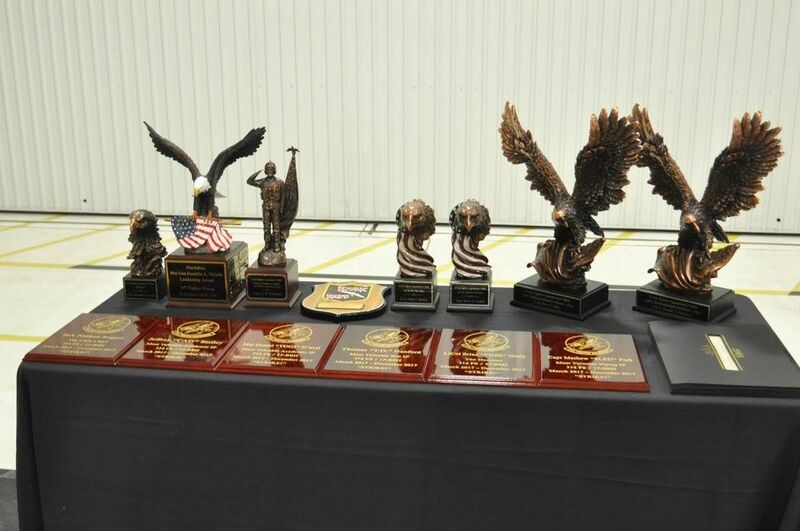 Kaylee Ausbun, HAFB PAO Commander, shows the various Trophies and Plaques awarded during the Squadron’s Graduation ceremony. The Daedalian General Nichols Leadership Award is third from the left in back row – it depicts a Fighter Pilot holding the flag and saluting. The food at the event was colorfully – and tastefully prepared. It included some mouth-watering deserts, as seen above. 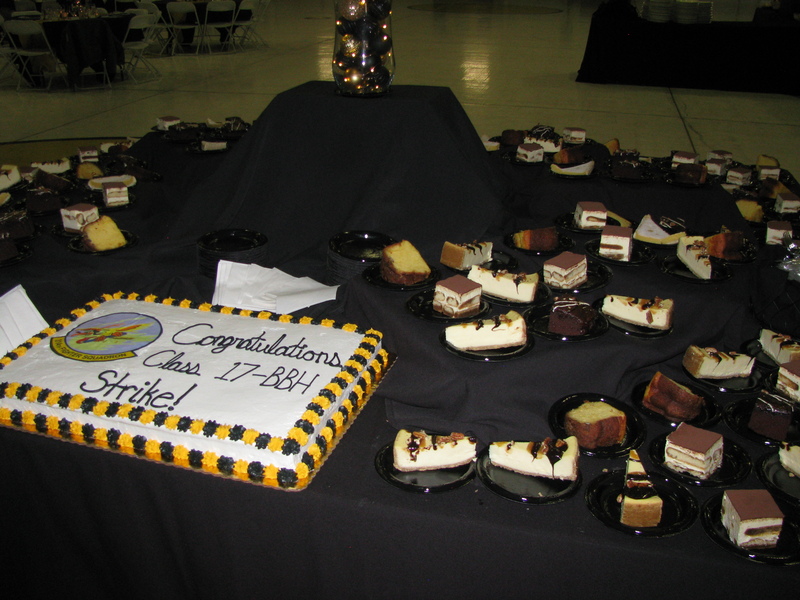 Notice the cake is decorated with the Squadron’s Emblem. “STRIKE” is the Squadron’s battle cry. 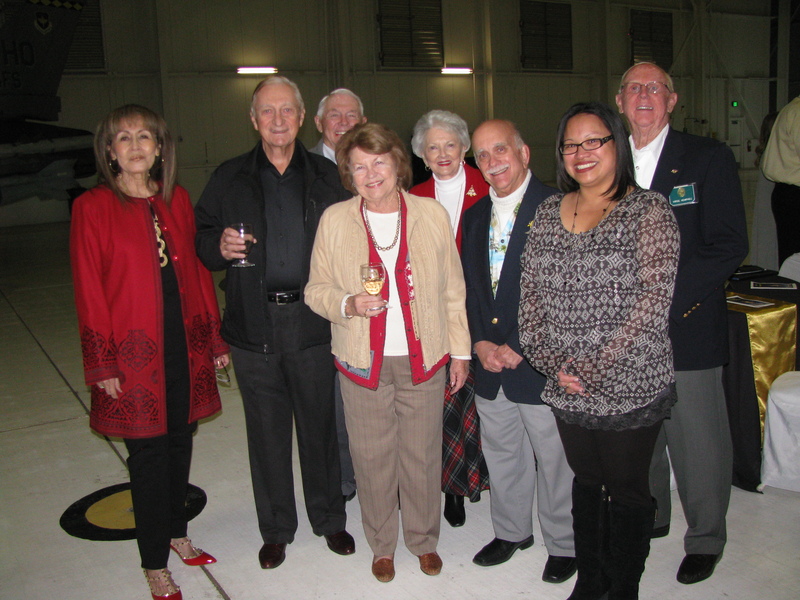 L to R above: Julie and Colonel Bob Pitt, Charlie Overstreet, his wife, Mayre Sue (in front), Jenine Hemphill, Roger Nichols, “MJ” Tucker, (Unit Program Coordinator for the 314th), and Virg Hemphill. “MJ” was thanked by the group for her important role in acting as official Squadron Coordinator for the Daedalians. Ms. Tucker’s principle task for the Graduation was to coordinate its interfacing with all involved base agencies, including Base Security; to obtain the awards; finalize the programs; design the seating charts; handle payments and, overall, to ensure the graduation went smoothly. She proved to have been more than efficient in successfully carrying out those multi-tasked responsibilities. L to R above: Mayre Sue and Charlie Overstreet; Roger Nichols; Julie and Bob Pitt, Virgil Hemphill and Ric Lambart. This photo was taken by Mrs. Hemphill. 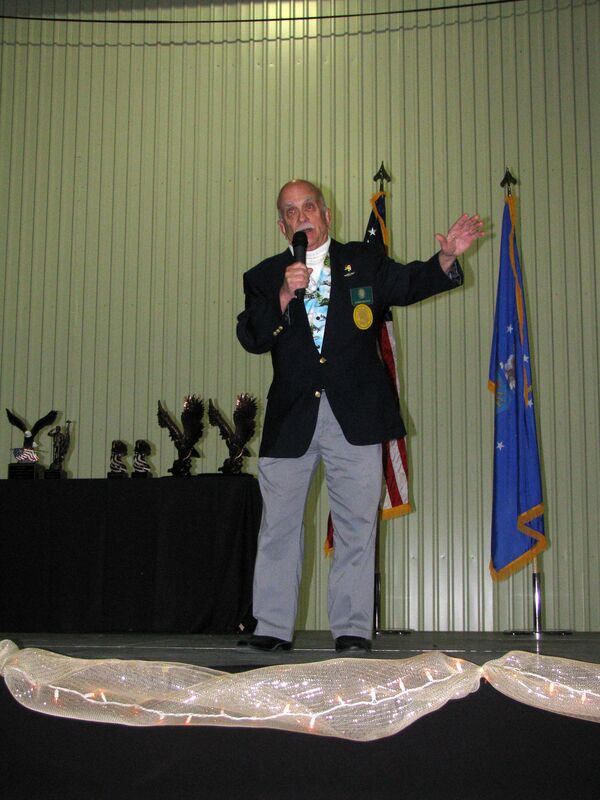 Daedalian Flight Captain, Roger Nichols, describing his father’s USAF career to the audience. His father, General “Nick” Nichols was an Air Force Ace in WWII. The Daedalian Leadership award is named in his honor. 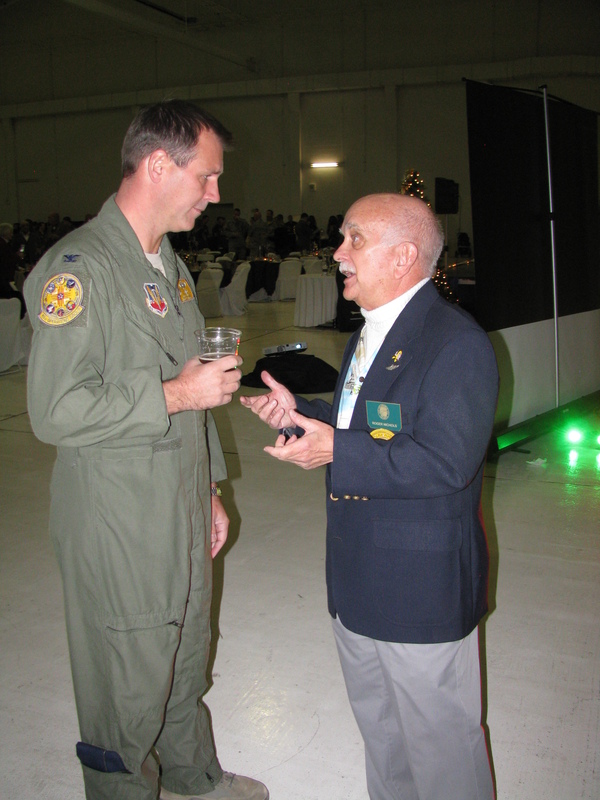 Roger Nichols congratulates the General Nichols Leadership Award winner, Captain Cy “Pong” Eckhardt, of Montgomery, Alabama. The Daedalians were privileged to have had the chance to meet the Captain’s mother. 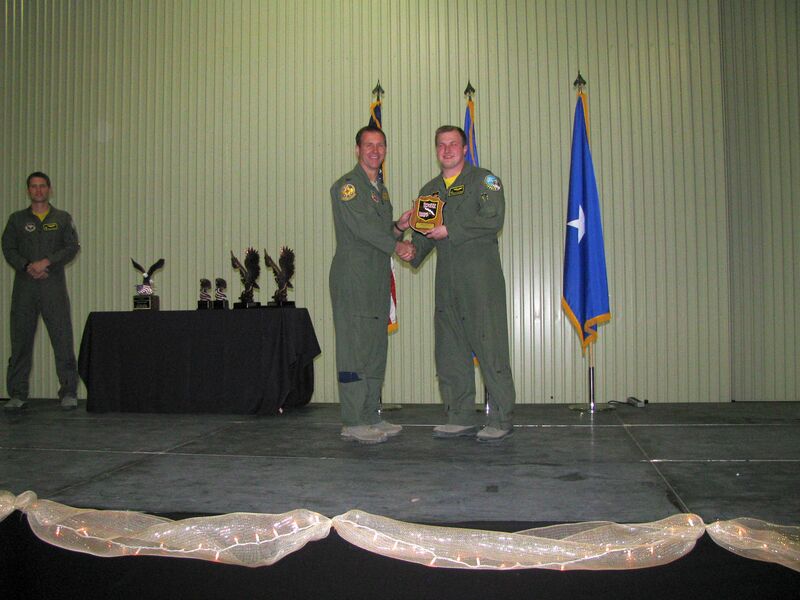 Winner of the Daedalian Leadership Award, Capt. 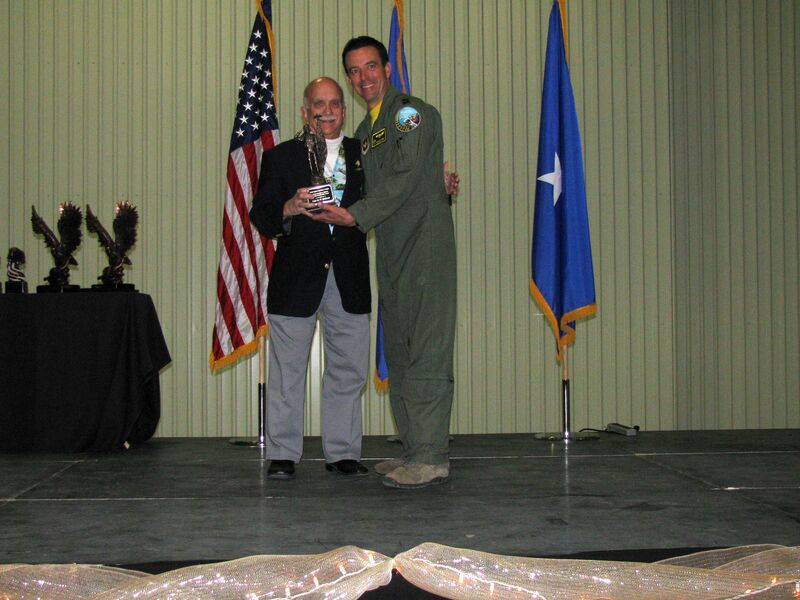 Cy Eckhardt (R) presents the framed honorarium of an F-16 to General Schaefer as the unit’s token of their appreciation for being its guest speaker. This photo is thanks to Captain Kaylee Ausbun, who commands the HAFB Public Affairs Office. 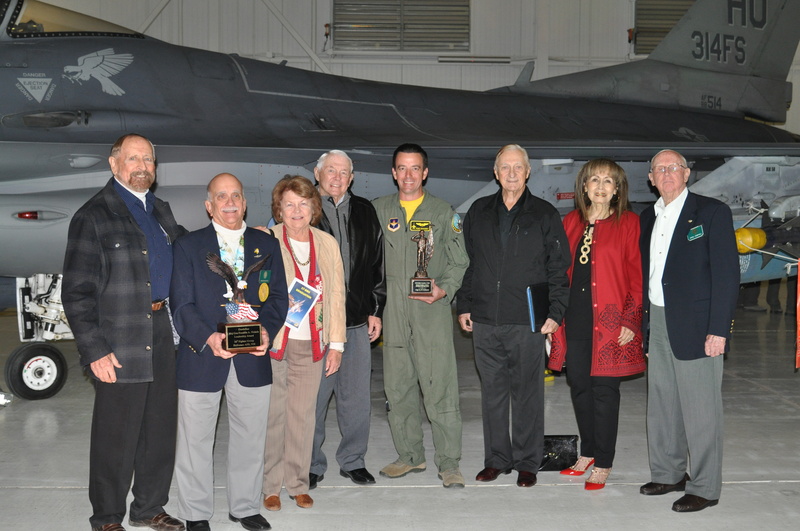 L to R: The FASF-Daedalian members pose with Captain Eckhardt (center in flight suit) and with his two awards: Ric Lambart; Roger Nichols; Mayre Sue and Charlie Overstreet; Captain Eckhardt; Colonel Bob Pit and his wife, Julie, and Virg Hemphill. Photo by Captain Kaylee Ausbun, Commander of HAFB Public Affairs Office. L to R above: Colonel Jeff Patton gives the prestigious “River Rat” award to the student with whom his fellow students would most want flying on their wing during combat. L to R above: Colonel Patton speaking with Flight Captain Roger Nichols. They were comparing active duty experiences, Roger having served as both an airborne Navigator – and a pilot – during his career with the USAF. They discovered that both men had experienced an assignment as instructor pilots. 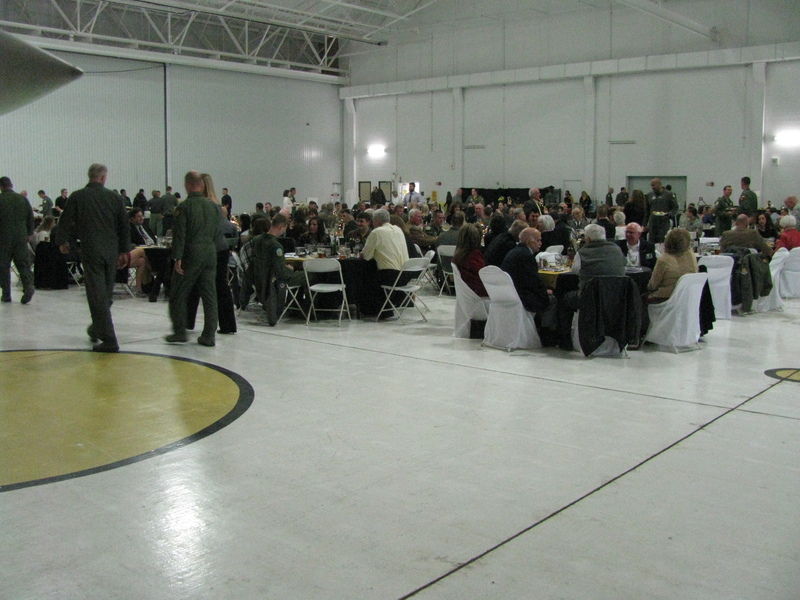 A view of some of the guests, including parents and spouses, along with the honored students at their tables. The Daedalian Table is at the front of photo to the right. This entry was posted in AVIATION NEWS on December 18, 2017 by FASFRIC. A real privilege to attend,see & meet these young men that are graduating at Holloman AFB to defend our nation – (the best of the best)👍. GREAT COVERAGE, RIC! Thanks, Virg. Great fortune to be invited, alright. Outstanding young men, for sure. 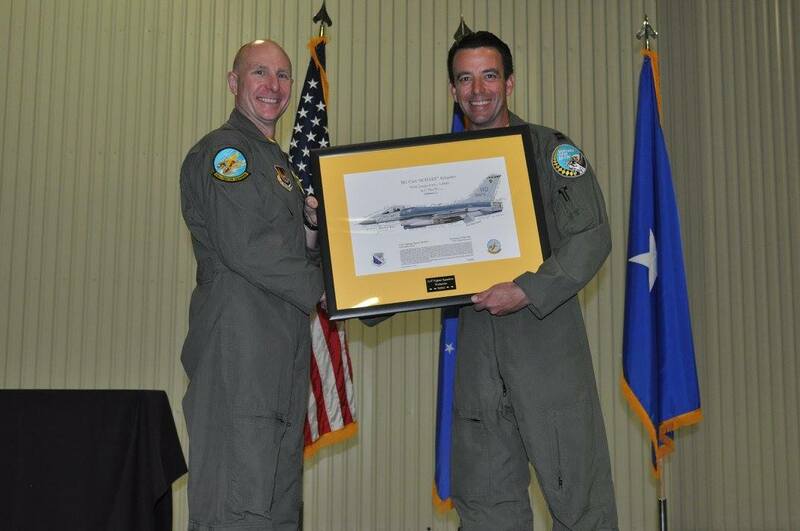 Thanks Ric for another great post and pics for an enjoyable and memorable F-16 graduation celebration to honor new fighter pilots with the “RIGHT STUFF”!